Trying to find out what can be composted? 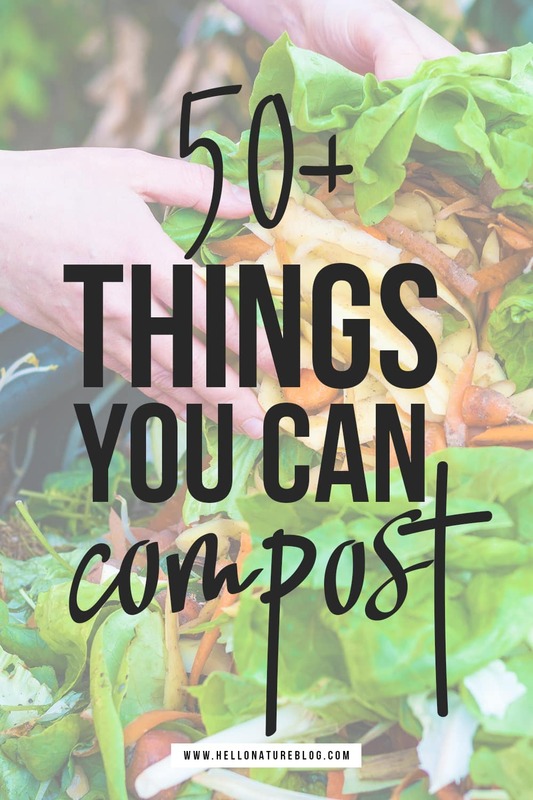 This list of things you can easily compost is a must read guide! Included in this list are things you should use caution with when composting as well as things you should not compost. 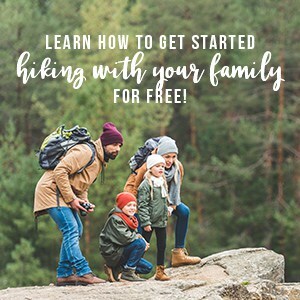 This post was originally published in May of 2014 and has been updated! We’ve talked about how to reduce food waste at home, but I know that doesn’t eliminate everything. What about the scraps after we use up that food that we’re trying so hard not to waste? The vegetable peels, the nut shells, the leftover pasta or stale bread that we just didn’t get to quick enough? What can we do with those instead of throwing them in the garbage? We’ve been composting with a compost bin like this one for years now and I think it’s one of the greenest things we do. There are so many reasons to compost, but my favorites are that it saves us money on our garden and reduces our waste. The less waste we have = the fewer landfills are needed. I think it’s safe to say that no one really wants more landfills, especially with their negative effects on the environment. We’re also trying to teach Lily about gardening and the compost bin is such a fun, educational tool! And truthfully, the “can compost list” is pretty lengthy. Most foods and food scraps can be composted. Only a few things need a little caution and some things should be avoided entirely. But the thing I love about composting is that it varies for each home. There isn’t anything that’s required in a compost pile (other than a good balance of green material like food waste and brown material like twigs, leaves, paper, straw, lint, etc.) You don’t have to have certain veggie scraps or certain types of paper. You just need to want to learn how to compost at home. I’d recommend a counter top compost bin to make things easier. This way you can just toss your scraps in the bin in the kitchen and when it’s full, you can toss it in the compost pile. Much easier than bringing the scraps out for each meal. Regardless of whether you use a compost bin or a compost heap outside, this saves a ton of time! Ready to learn what can be composted? Here’s a compost list that is constantly being updated with more common household items! These things can be included in your compost pile if they’re the right materials. Check each item beforehand to ensure that you aren’t adding something to your compost heap that could potentially be toxic. Paper – This depends on the ink used. No ink, soy-based or eco-friendly ink is best when it comes to adding things to your compost pile. Latex Items – If the latex item is colored, check what kind of dye was used before adding it to your compost pile. Wood/Sawdust – Check to see if the wood is treated or not before adding it to your compost heap. Dryer Lint – Depending on the types of fabrics you use/wear, dryer lint can be compost pile friendly. Hair – Hair clumps very easily or it may get tangled. Neither of which are good for your compost pile. Tea Bags – If they are cotton or hemp, they can be composted. If not, or if you’re unsure of their composition, leave them out of the compost pile. good to know!! i haven’t tried composting yet.. but i hear if we move to SF it’s required. every time i visit my gf.. i’m always confused what goes into what bins. Perfect timing! I just bought a small kitchen countertop compost bin. 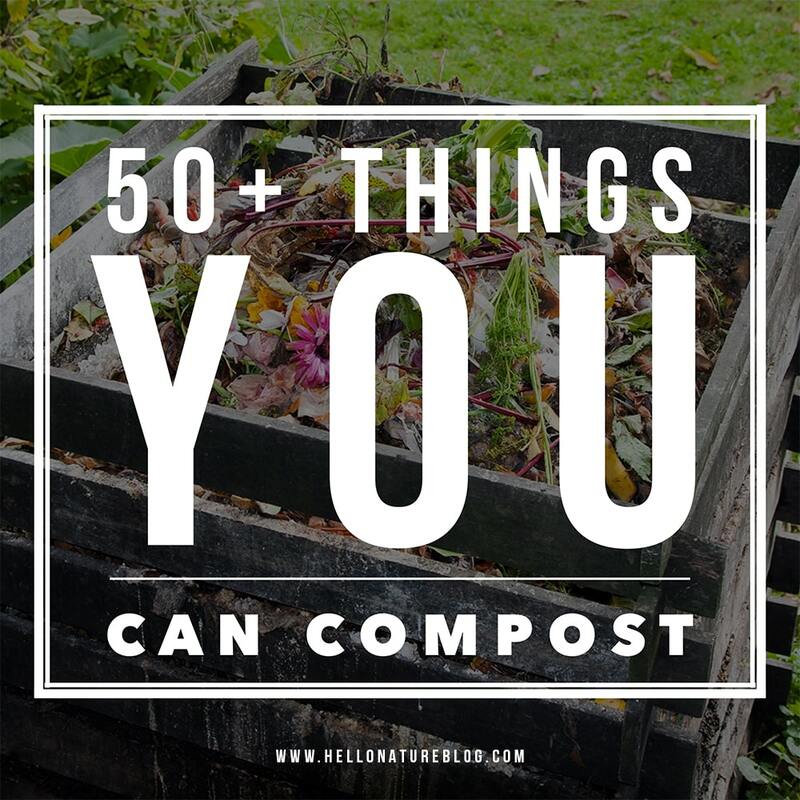 There are so many things on the list of “can compost” that I had no idea you could compost! Pinning!